Split pita breads to form 4 round pieces. 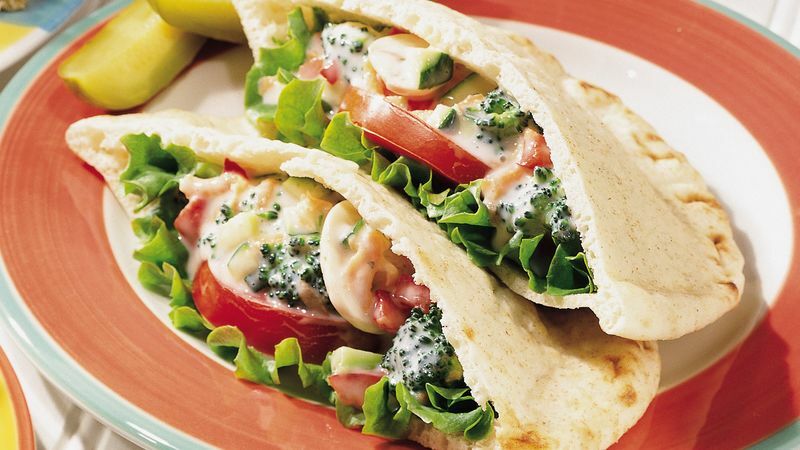 Spread 1 pita bread half with 1/3 of hummus; sprinkle with half of carrots. Layer half of tomato slices, then half of cucumber slices over carrots. Top with second pita bread half. Spread with 1/3 of hummus; add onion rings. Top with third pita bread half. Spread remaining hummus over pita. Top with remaining carrots, tomato slices and cucumber slices. Place remaining pita bread half on top. Press together gently. Cut sandwich into quarters.